As a descendant of a well-known musical family on Curacao, it was no surprise young Salvador had a more than average interest in music. With a grandfather famous as traditional caribian 'Kai Orgel'-player, several uncles being dj, music was just another member of his family. Inspired by radioprogramm The Soul Show in the 80's/90's, teenager Salvador spent many hours making mix-tapes for friends and classmates. Still it wasn't until 2002 when he picked up dj'-ing. First as RnB/Hiphop dj, gradually progressing into a lounge and house DJ. Nowadays Salvador is a allround house DJ, with a recognizable, energetic unique dj style and appearance. 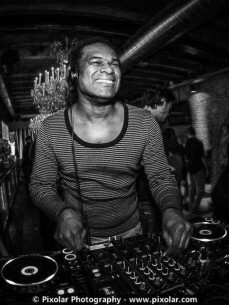 Playing electronic music, rather then classify it in to genres, Salvador had bookings in the Netherlands, The Dutch Caribbean and his second home Ibiza. This is also the island where he promotes several own party concepts every year: Sunset People, Ibiza Party Cruises and ROOF! In 2011 Salvador started Global House Vibes records where he releases own productions but also of talented international producers in need of a platform to present themselves.